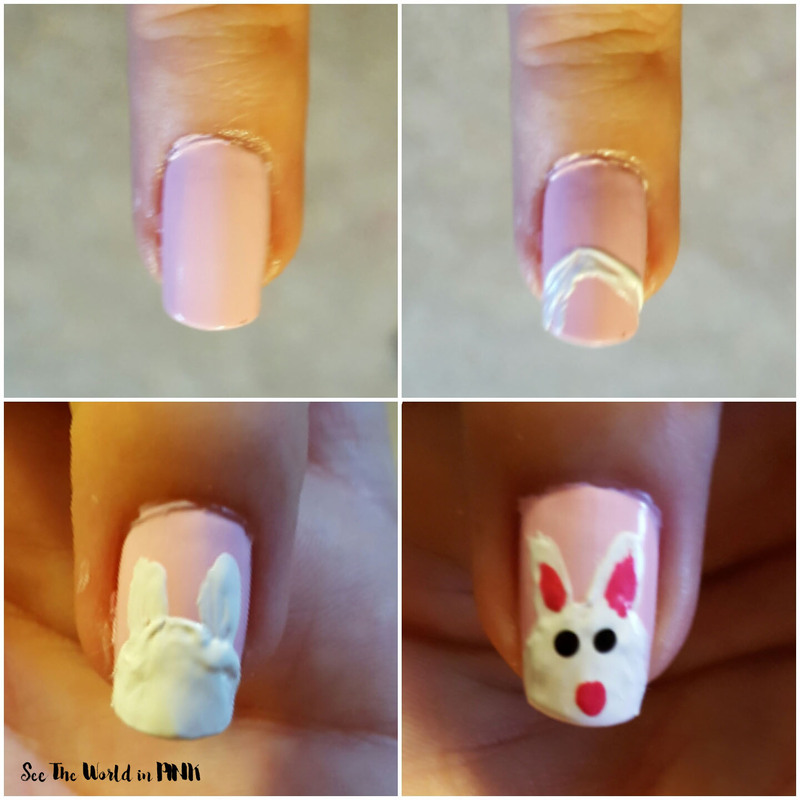 It's time for an Easter Mani - and i'm thinking cute little bunnies are the perfect way to go! These little bunnies are so cute! I may have went a little too fast with the top coat and caused a little bleeding, but they still look good! For this week's Mani, I started with nail cleanser, base coat, and 2 coats of light pink base polish. 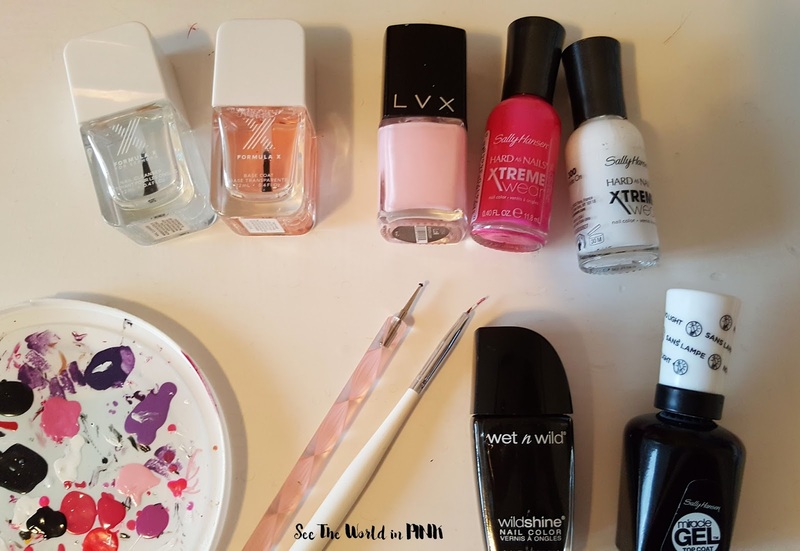 Start with the nail art brush and create a half circle with the white nail polish, then fill in with white polish. 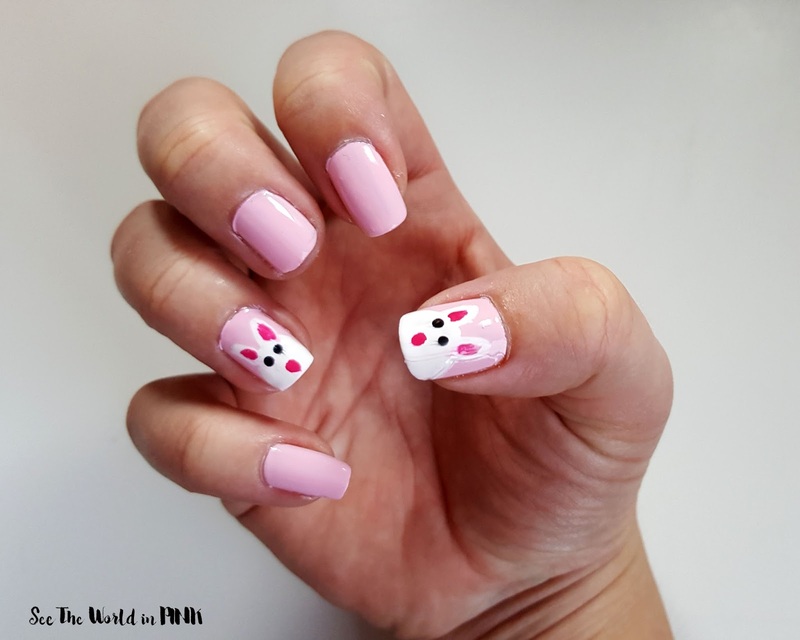 Use the nail art brush and white polish and create little ears - these aren't any basic shape, they just take 2 lines to create. 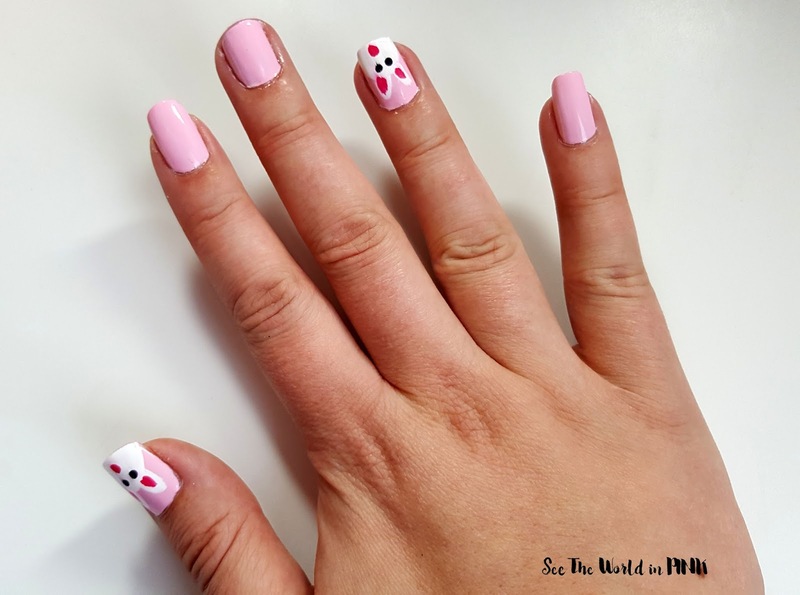 Follow up with a dark pink and nail art brush, and create a little inside ear. Then using a dotting tool and the dark pink create a little pink nose! Then using a black polish and a nail dotting tool and create eyes. I love how cute my Easter Bunnies look this week!